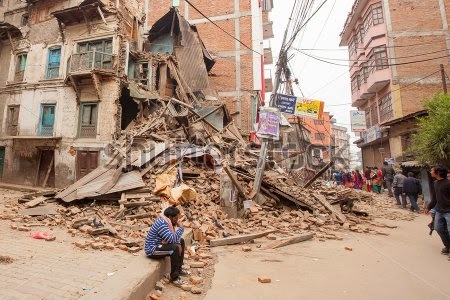 As a Douglas College faculty member and Nepal native, I am appealing for your immediate support in helping relief efforts for the victims of the 7.8-magnitude earthquake that devastated Nepal on April 25. The number of deaths from the earthquake so far is estimated to be over 7,000 and the number is rising as many more still remain buried in the rubble. The United Nations estimates the earthquake will affect 8 million lives, a quarter of the country’s population. As a native of Kathmandu, Nepal’s capital, one of the worst-affected urban cities, this event has affected me personally as all my extended family members still live there. Thankfully, all are safe and are coping as they try to restore normalcy in their lives. Local and international relief response has been slow in rural areas but quick and effective in areas that are more accessible. In the Lower Mainland, the Nepali community organization, Nepal Cultural Society of B.C., is coordinating efforts to start grassroots fundraising campaigns. At an individual level, we are asking for support from our employers, schools, community and friends. The Canadian government has deployed military personnel and emergency relief team and pledged $5 million and will be matching all donations made through Canadian registered charitable organizations. The Douglas Students’ Union (DSU) is accepting donations. Every dollar donated will be matched by the DSU, up to $3,000, which will then be matched by the Canadian government until May 25, 2015. In effect, every dollar donated through the DSU will generate $4 in support. Between April 25 and May 25, the Government of Canada is matching donations made to registered Canadian charities. For more information about this initiative, visit the Foreign Affairs, Trade and Development Canada website. The Nepal Cultural Society of B.C., a registered non-profit, is also collecting donations to send them to the Canadian Red Cross. You can send a cheque payable to NCSBC at: 8962 152 St, P.O. Box 73094, Evergreen RO, Surrey, B.C. V3R 0J2. Telus customers: Text REDCROSS to 30333 to donate $5 to Canadian Red Cross relief efforts; text REDCROSS to 45678 to donate $10 to Canadian Red Cross relief efforts; or text NEPAL to 45678 to donate $10 to UNICEF Canada. Bell customers: Text REDCROSS to 45678 to donate $10; text REDCROSS to 30333 to donate $5 to the Canadian Red Cross; text NEPAL to 45678 to donate $10 through UNICEF; or text RELIEFNEPAL to 45678 to donate $10 through the UN World Food Programme. If you have any questions, please contact me at baniaa@douglascollege.ca.